On February 8, 2019, by invitation only, on the 10th Anniversary of the Liberty Ship SS Arthur M. Huddle leaving Norwalk, Virginia and entering the Port of Piraeus to be renamed the Hellas Liberty Maritime Museum the East Mediterranean Business Culture Alliance, “EMBCA” on that occasion proudly presents our “3rd Annual Hellenic Shipping Panel Discussion”, to be held aboard the Hellas Liberty Museum Ship. 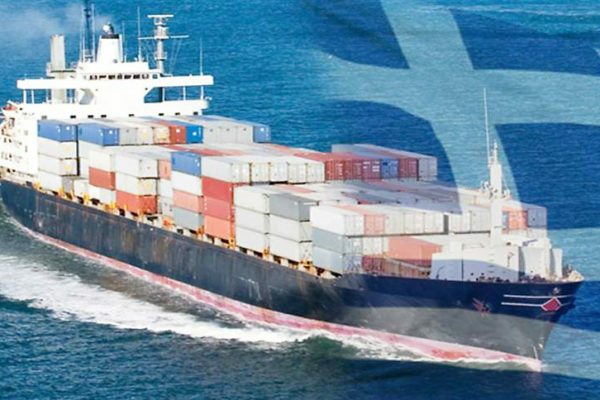 The event will be attended by many in the Hellenic Shipping industry as well as other industries both from the U.S. and Hellas. The panel discussion will be moderated by EMBCA President Louis Katsos and our distinguished guest panelists will include: The Honorable Geoffrey R. Pyatt, The Ambassador of the United States of America to the Hellenic Republic; Rhode Island State Senator , The Honorable Leonidas Raptakis; Vice Admiral of the Hellenic Navy, Ioannis G. Pavlopoulos; Spyros Polemis, Founder & CEO of Remi Maritime ; Aristidis Pittas, President of EuroDry Ltd.; Despina Panayiotou Theodosiou, CEO of Totoheo and President of WISTA International; and Konstantine Drougas, Vice President of EMBCA and Chair of the Shipping Memorial Committee. This year’s panel discussion, besides discussing and commemorating Hellas Liberty’s 10th Year Anniversary as well as the latest in the Hellenic Shipping Industry, will further expand on the topic EMBCA has introduced at its Hellenic Shipping panel discussions in New York namely the international significance of the history of the Hellenic Merchant Marines, and their extraordinary sacrifices during WWII which cannot be denied and at times perhaps forgotten. We recognize the Hellenic Merchant Marines and their heroic deeds during that period with over 2,000 Hellenic Merchant Marine lives lost and close to seventy percent of the Hellenic Shipping Fleet being decimated by the Axis Powers. Hellenic merchant ships transported most of the supplies across the treacherous Atlantic Ocean for the Allies. After the war that sacrifice and friendship was recognized by the U.S. in particular as it related to its working with Hellenic Ship Owners and the selling of the “Blessed” Liberty Ships which become the backbone of the establishment of the post war modern Hellenic owned fleet, currently the largest in the world. EMBCA has championed the establishment of a WWII Hellenic Shipping Memorial/Monument in Downtown Manhattan, New York City. During his visit to New York while at EMBCA, the Prime Minister of the Hellenic Republic, Alex Tsipras also recognized this honorable purpose. 1.) To memorialize and commemorate the WWII Hellenic Merchant Marine Sailors and Hellenic Shipping Fleet that bravely fought the Axis Powers during WWII, and their extraordinary service to the Allied Powers. 2.) To express gratitude to the United States of America for helping support the re-creation of the modern Hellenic Merchant Marine fleet thru the “Blessed” Liberty Ships after the war. Liberty Ships were a key component of restarting world trade after WWII, and thru them the re-establishment of an extraordinary success story of Hellenic global entrepreneurship. 3) To celebrate the historic Friendship between the Hellenic Republic and the United States. Hellenic entrepreneurship in shipping, with post war support from the United States of America, has created what is now, the largest merchant fleet in the world. We believe it will be a very interesting evening in many ways, and which further advances and promotes the historic U.S. and Hellenic friendship and cooperation over the years. ** NOTE: This event is by invitation from EMBCA only, and only to the individual its addressed to. This evening’s program is made possible and underwritten by Louis Katsos and Hasan Biberaj.